A surprise visit to Iraq by the Saudi foreign minister has raised questions over the top diplomat’s real intention of making such a trip. 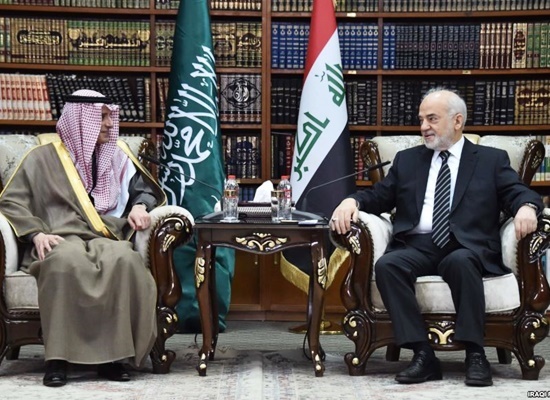 Iranian media have published several analyses in reaction to an unannounced (or perhaps planned, but hidden from the rival) visit to Iraq by Saudi Foreign Minister Adel al-Jubeir. Among those articles, an opinion piece by Tabnak news website is worth reading. Saudi Arabia’s foreign policy démarches have gained momentum, especially since tension heightened between Iran and the US. A busy Saudi foreign minister has made arrangements at the regional level and beyond to make up for Riyadh’s decade-long lethargy in the foreign policy arena. Jubeir’s recent stop was Iraq, but one cannot expect it to be the last stop. Incontrovertibly, Jubeir’s surprise trip to Baghdad after around 13 years should not be underestimated. Since the US invasion of Iraq in 2003, no ranking Saudi official had paid an official visit to Iraq. That makes Jubeir’s recent trip all the more significant and noteworthy. Saudi Arabia, one of Iran’s major rivals in the region, will not miss any chance to make harsh criticism of and press charges against Iran over its regional policies. Now, one of its top officials has travelled to a country which is Tehran’s closest regional ally and is known for its alignment with the Islamic Republic. There are two viewpoints on the table when it comes to Jubeir’s Iraq visit: an optimistic point of view and a pessimistic one. Some believe Saudi Arabia seeks to get close to Iraq as Iran’s number-one ally in the region in order to take the same step that Tehran has taken via Kuwait and Oman to help ease tension with Persian Gulf countries. Optimists say Riyadh is looking to Iran as a role model and wants to follow in its footsteps step by step. If that is the real intention of Saudi Arabia, it could help boost stability in the Middle East region and usher in a new era in serious mutual cooperation. However, Jubeir does not seem to have travelled to Iraq with such a mission. Saudi Arabia is not in a position to get engaged in a process of détente with Iran without getting major concessions from Tehran. On the other hand, when we look at Jubeir’s trip against the backdrop of his recent moves and critical speeches about Iran, especially his remarks in the Munich Securityu Conference, this optimistic view vanishes into thin air. This leads us to the sceptical view about Jubeir’s Iraq visit. It seems after getting regional Arab states and, above all, Turkey on board against Iran, the top Saudi diplomat has kicked off a second phase of diplomatic demarches to counter and ostracize Iran. This is one of the tough stages of Riyadh’s plot against Iran: To either get Iran’s allies on board or neutralise them. To that end, Iraq is the most probable choice for Saudi Arabia because Riyadh’s policy on Syria is crystal clear and Saudi Arabia is waiting to see what the outcome of the Geneva talks will be and how things will unfold as a transitional government might take power in Syria, paving the way for a new administration. Riyadh hopes any new administration will be better than that of Bashar al-Assad who is an Iran ally. A statement released by the Iraqi Foreign Ministry on Jubeir’s visit mentions a key point in this regard. The statement quotes Jubeir as saying that Iraq’s neutrality can set the stage for reconciliation between Tehran and Riyadh. Although Jubeir has openly used the term “reconciliation” between Iran and Saudi Arabia, no sober mind has forgotten the remarks he made in Munich recently or in London and Paris previously, that making efforts to bring about a détente between Iran and Saudi Arabia would be a nonstarter. So, one can guess Jubeir’s modus operandi: If Iraq cannot be made to join the ranks of Riyadh’s allies against Iran, it can be neutralised, at least. In fact Saudi Arabia is seriously asking Iraq to remain neutral. What reinforces the pessimistic view on Jubeir’s trip to Iraq is an article by Abdulrahman Rashed, the former editor-in-chief of the London-based Asharq Al-Awsat daily. His article was carried by this very newspaper as well as by the Al-Arabia News Channel. In the article, he calls on Arab states, especially Egypt, Saudi Arabia, the United Arab Emirates and Jordan to form a joint military alliance to contain Iran. He rehashes remarks by Trump and Saudis that the JCPOA [Iran nuclear deal] has made Iran’s foreign policy in the region more aggressive. He says Iran’s behaviour changed only after the conclusion of the nuclear agreement, and that Iran is now much better off financially and militarily. He said Iran fills the power vacuum in Iraq and is expanding its hegemony in Iraq, Syria and Yemen. He says military cooperation of some sort is a very good mechanism to harness Iran, especially if the cooperation goes beyond the military domain. He says it is necessary to form a military counterbalance to stand up to the military alliance between Iran, Iraq and Syria. Jubeir in Iraq and Rashed in London are weighing the scheme that Riyadh has orchestrated against Iran. Now, rumours are getting stronger that Washington and regional Arab states seek to form a NATO-style regional alliance against Iran.